What would life be like without numbers? That's the premise of this cute book that has two frantic animals running around trying to replace numerals that have been mysteriously stolen. 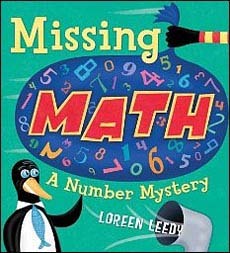 If you are teaching numbers, add this book to the mix to help show how vital numbers really are in our everyday lives. 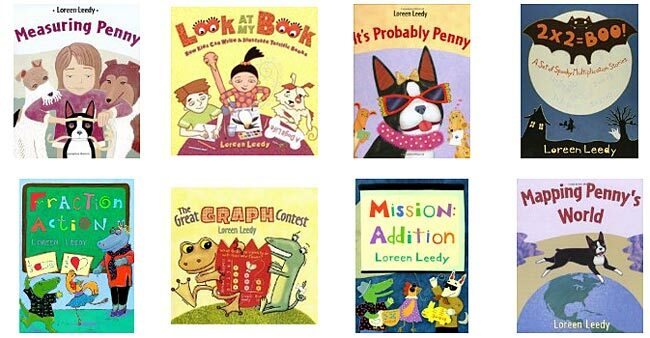 We like the kid-friendly examples that Leedy selected, like: money having no value, games having no winners, and no one knowing their age (which kids find especially horrifying!) A great discussion starter for all the ways we use numbers in the world. 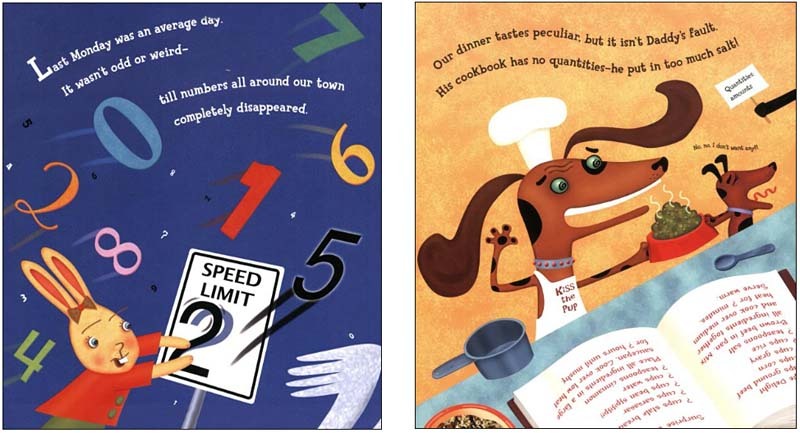 Below are sample pages from inside Missing Math. 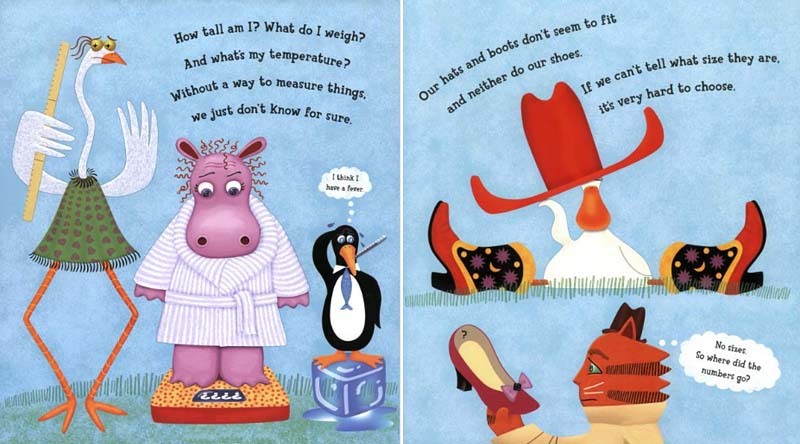 As you can see, these pages do a good job of showing all the different ways we use numbers in our everyday lives, which is something that kids often don't even realize! Some of Leedy's books are a bit too crowded for anything but individual browsing, but this title is different. It would work great for a read aloud as well. Read the book aloud, then have kids write down each time they come across numbers in their homes and community after school.